ICIWaRM has been engaged in various activities through the years involving IWRM publications. The Integrated Water Resources Management (IWRM) Guidelines at River Basin Level (pdf, 6.57 MB) series has been written as a contribution to UNESCO-IHP and the World Water Assessment Programme (WWAP). ICIWaRM Co-Chaired the Guidelines’ Steering Committee. These Guidelines provide information to help practitioners implement IWRM in line with their own circumstances. In addition to the fundamental concepts of IWRM, they also provide insights into the perspectives of various stakeholders — keys for success for overcoming problems — and examples where such keys for success were applied. IWRM principles have been widely recognized, but their implementation in the field is challenging. The Guidelines describe an incremental approach that begins with existing institutions and resources, evolving towards a fully integrated approach with the provision of multi-sectoral water services. There are two parts: Part 1 (principles) and Part 2 (practical implementation). Part 2 is divided into planning (2-1), flood management (2-2), and irrigation (2-3). 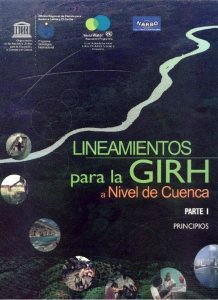 In 2011, ICIWaRM, IDB and UNESCO IHP-LAC collaborated to produce Spanish translations of this series; contact IHP-LAC (phi@unesco.uy) for copies. ICIWaRM’s study of Water Allocation in the U.S. was written as part of collaborative program with Brazil’s Agência Nacional de Águas. Since surface and ground water allocation in the U.S. is managed at the state level, the methods used in the U.S. vary between each state and territory. 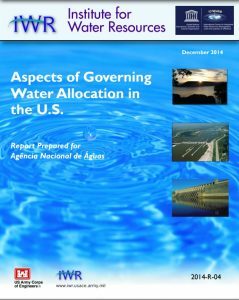 As a result, the following report does not attempt to provide a comprehensive assessment of U.S. water allocation policies, but rather describes the two dominant philosophies guiding U.S. water allocation: riparianism and prior appropriation. Using these philosophies, individual state water allocation practices (e.g., monitoring, allocation, regulation, etc.) within watersheds were reviewed to provide examples from different parts of the country. The report is available from IWR here. The Colorado Water Institute with ICIWaRM support and U.S. State Department collaboration held a Workshop on the “U.S. 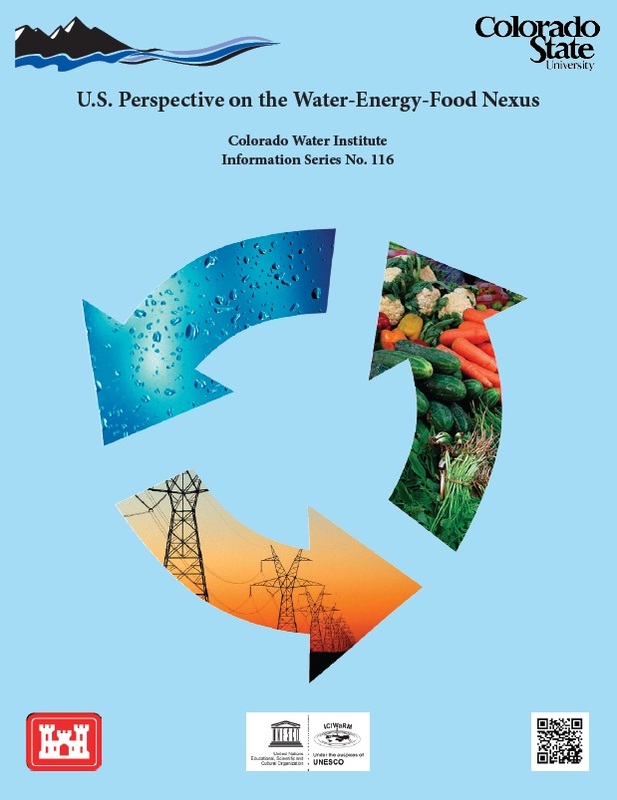 Perspective on the Water-Energy-Food Nexus”, June 2014, Golden, Colorado. Given the pressures on water, energy, and food systems, strategies for development and sustainability must recognize the sectoral interdependencies. The workshop drew from U.S. experiences to identify lessons about the nexus approach to management of water-energy-food systems. It focused on cases relating to technology, financing, public-private partnerships, and governance. The publication based on the event is at http://www.cwi.colostate.edu/workshops/nexus2014/NexusReport_092314.pdf. In addition, the U.S. National Committee for the IHP issued a Monograph on the “Science and Practice of Integrated River Basin Management: Lessons from North and Central American UNESCO-HELP Basins.” The report arose from a North American-UNESCO-HELP workshop held in Portland, Oregon, May 2010 and a follow-on session in 2011 – both supported by ICIWaRM. Hydrology for the Environment, Life and Policy (HELP) is a cross-cutting component of UNESCO-IHP to improve the benefits to society by applying the principles of integrated water resources management to complex, interdisciplinary challenges within catchment basins. The document is available here.